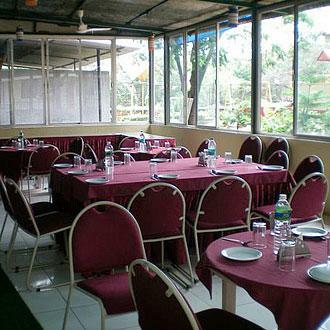 Rajkiran Resorts is a budget friendly hotel in Lonavala that will find favor with families and leisure travelers. The bus station is very near Rajkiran Resorts and the hotel is 100 KMS from Mumbai and 70 KMS from Pune. Nearby attractions include Duke's nose, Kune Falls, Rajmachi Fort, Karla Caves, Lohagad Fort, Bushi Lake and Ryewood Park. Laundry Facilities, Front Desk, Parking, Banquet Facilities, Room Service, Complimentary Newspapers in Lobby, Internet/Wi-Fi, Gardens, Family/Child Friendly, Restaurant. Desk, Reading Lamps, Safe In Room, House Keeping, Air Conditioning Room, Ceiling Fan, Attached Bathroom, Cable/Satellite TV, Complimentary Toiletries. User reviews for "Rajkiran Resort Lonavala"